Unleash your inner artist with custom home decor. Beautiful glass-like decor for shelves or desktops! Fantastic new digs that show off both of your styles. Creating your own wall art is a great way to add a personalized touch to your home. 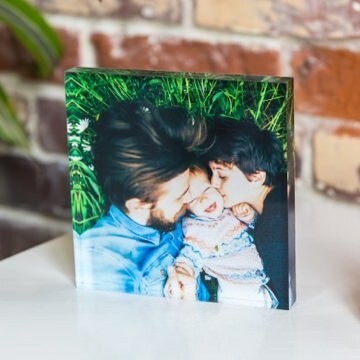 Custom wall decor allows you to display your favorite photos in a beautiful way, while still showcasing your personal style and flair. 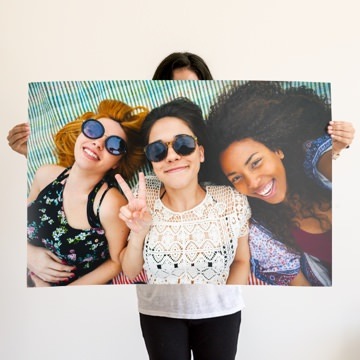 Explore Mixbook’s wide range of wall art options—which includes acrylic prints, metal prints, poster prints, canvas prints—to find one that suits your style and needs. Finding the right home decor for your living space can be a challenge. At Mixbook, you can create customized art that will be sure to perfectly reflect your taste. Keep it simple and chic with a large poster print of ocean waves to create the perfect beachy vibe. Or maybe you want to liven up the hallway with some canvas prints of your favorite sunsets from your latest road trip. Try a modern acrylic print for a stylish statement decor piece to accent your walls, or go with a sleek metal print to create the ultimate contemporary look. There are so many home decor ideas and options available with Mixbook’s collection of wall art prints and products, you’ll want to decorate the whole house.